A rich and nourishing lifting cream of strong anti--aging properties. It contains the precious oil from the resin of the Pistacia lentiscus tree which stimulates the proteins of youth, rejuvenates facial features, resulting in an effect of a non-invasive volumetric face lift. It improves and models skin density, while raising the oval of the face. It effectively restores and supports the "triangle of youth" set by the contours of the face. It prevents the thinning, sagging and the loss of firmness of the skin. It is enriched with the most effective phytosteroids compensating for the symptoms of a reduced level of mature-age hormones. 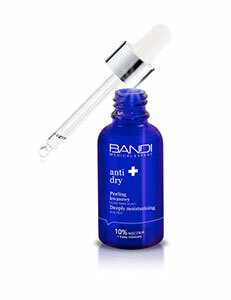 It prevents wrinkle formation, moisturises and nourishes dry to very dry mature skin. The precious macadamia oil, extracted from the ever-green tree of life greatly supplements the lipids of the epidermis. The nourishing properties are supported by shea butter which envelops the skin with a gentle film preventing dryness and irritating tension. It boosts deep regeneration of the epidermis. Apply in the morning and evening to the cleansed skin of the face avoiding the eye area. To intensify the effects use interchangeably with the Rejuvenating Oil Phyto-extract from the same line.